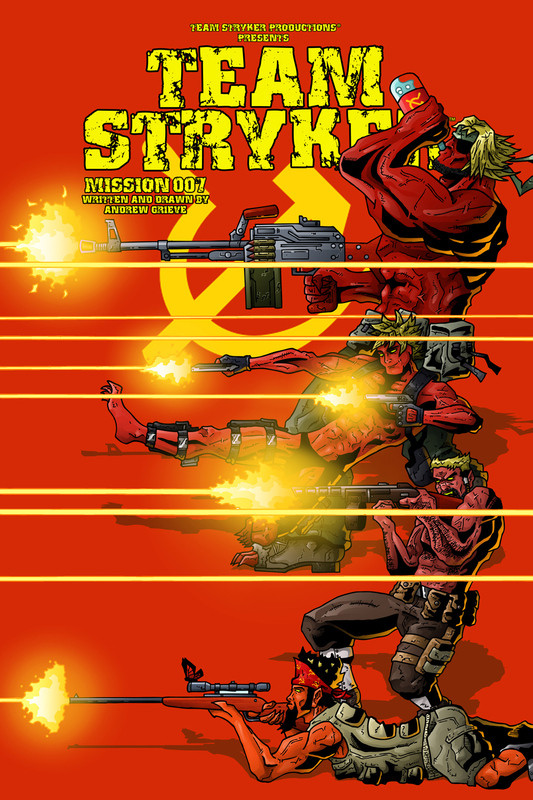 Team Stryker is back! A big thank you to all your patient fans out there. I needed to make sure that the issue was far enough along that when I debuted it there wouldn’t be any major delays between now and when the issue finishes. I was planning on debuting the issue sooner but when I was suddenly let go from my job in November it threw all of my plans out the window. Luckily everything is in place now for an awesome 2015. I’ve got a lot of exciting Team Stryker related projects in the works that I’ll hopefully be sharing with all of you shortly. Team Stryker is still on its regular updating schedule with the finished page on Monday, the inks on Wednesday and the pencils on Friday. For all your Team Stryker news be sure to follow me on Twitter and Team Stryker on Facebook.